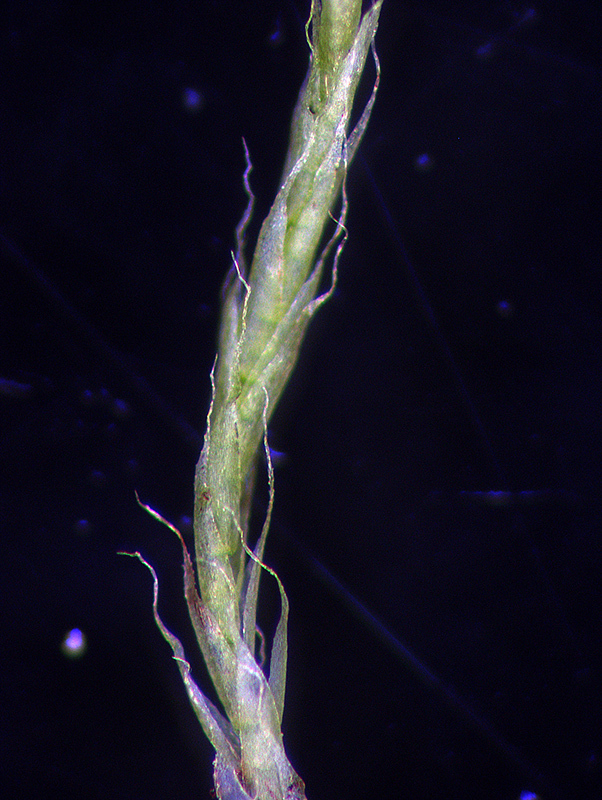 Flexuose branches often fragment, acting as brood bodies to give rise to new new plants. 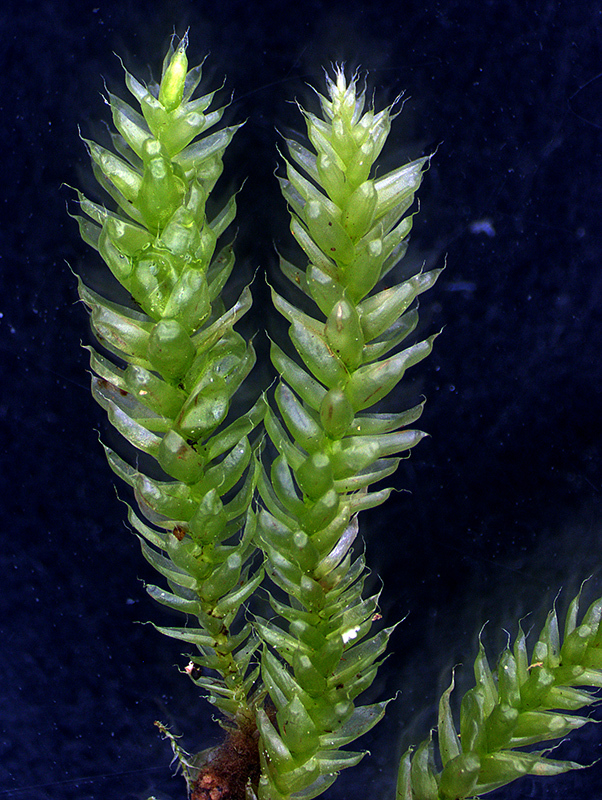 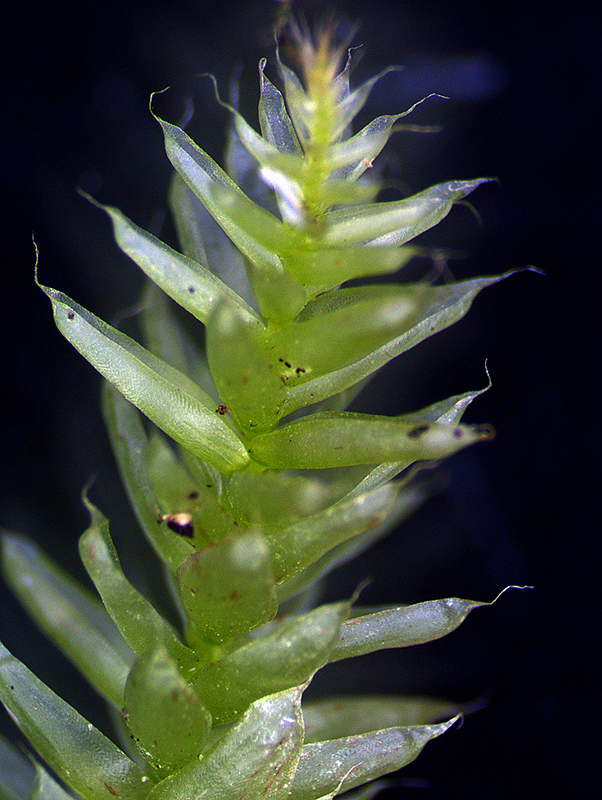 The outer peristome is reduced to a low membrane while the inner peristome consists of delicate white teeth. 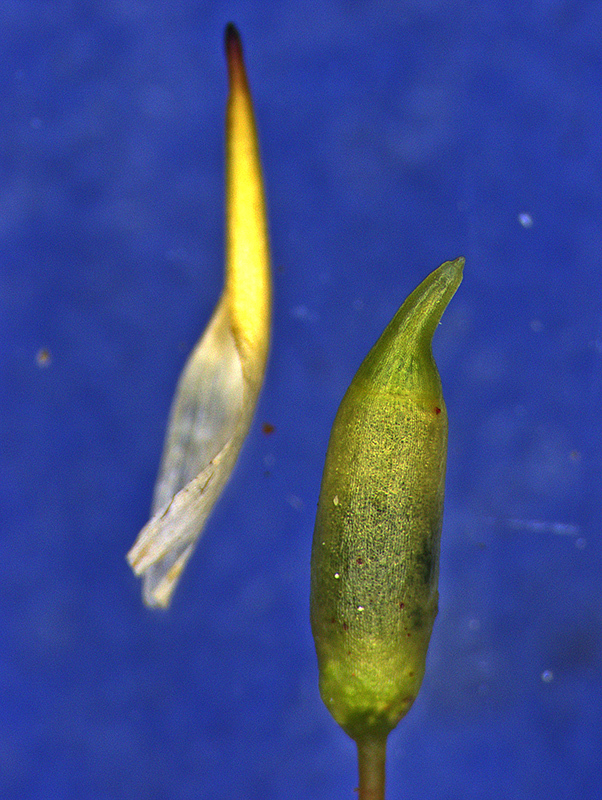 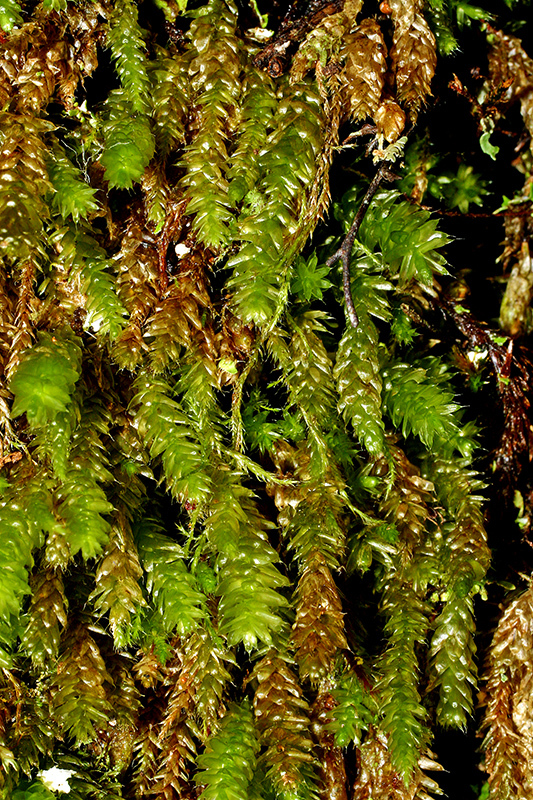 Lepyrodon lagurus forms dense, yellow or brown-green mats. 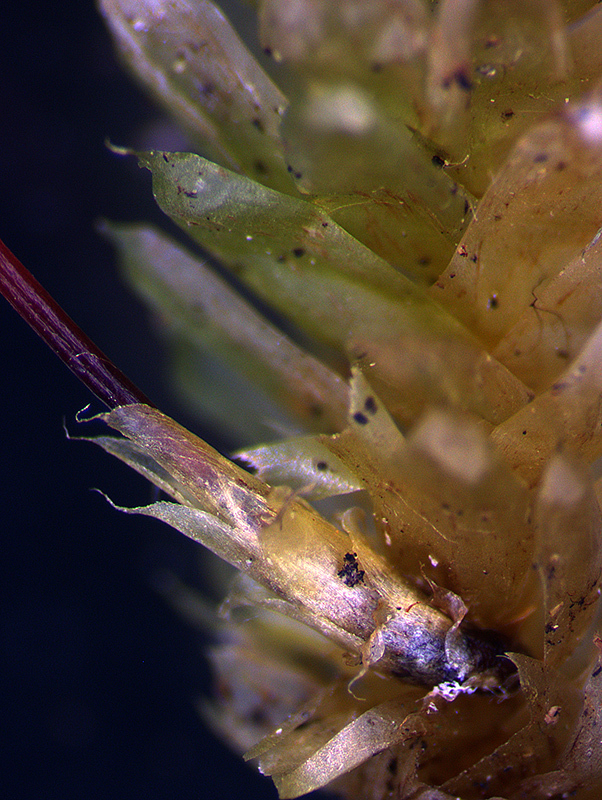 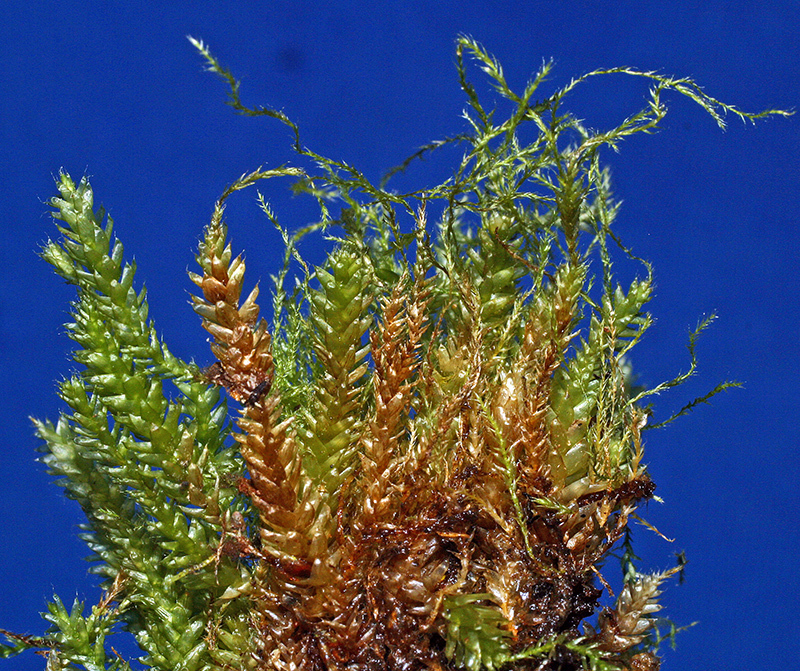 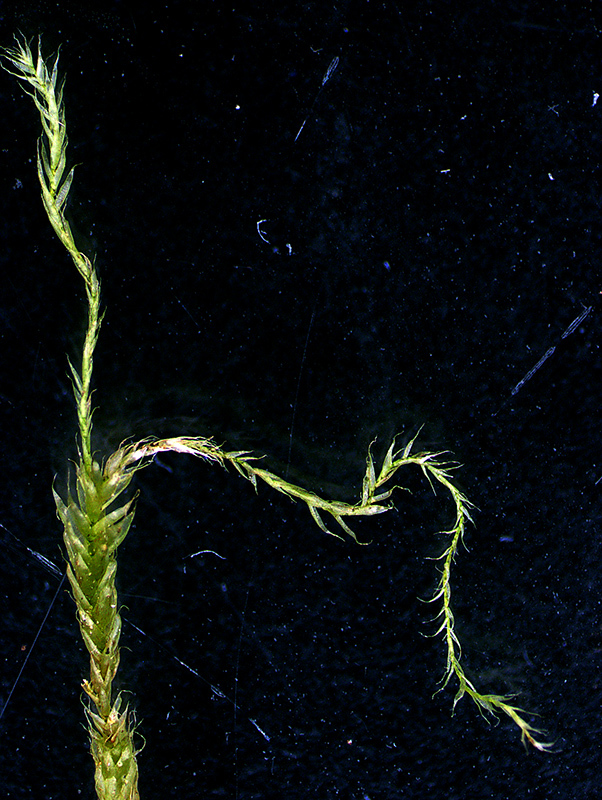 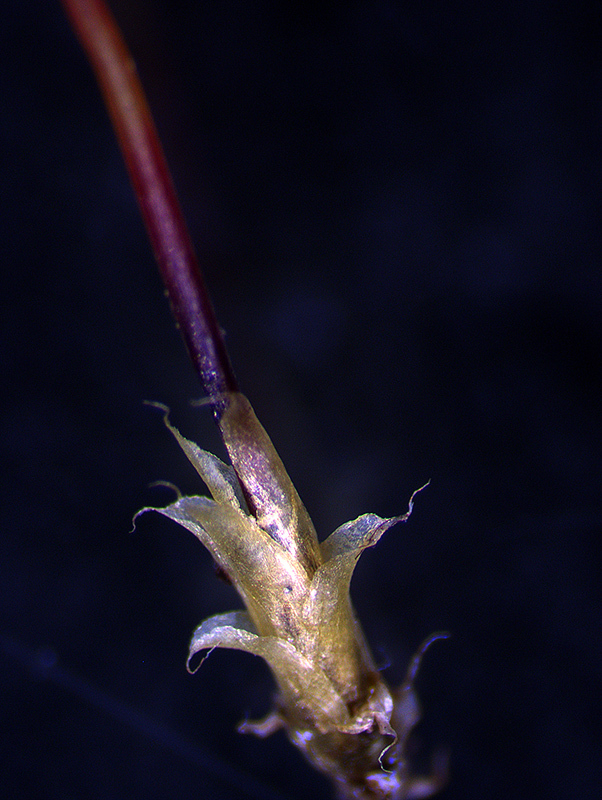 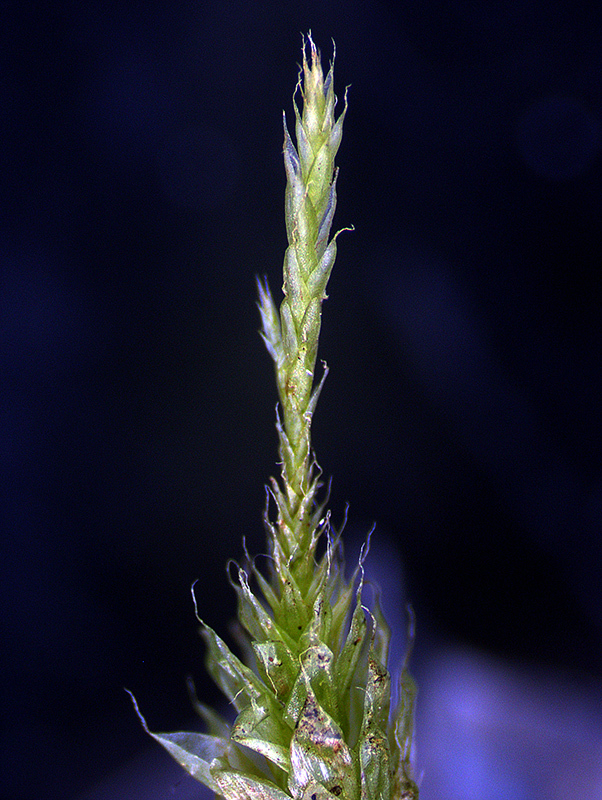 Lower portions of stems are covered with a dense tomentum of smooth, brown rhizoids matting the stems together. 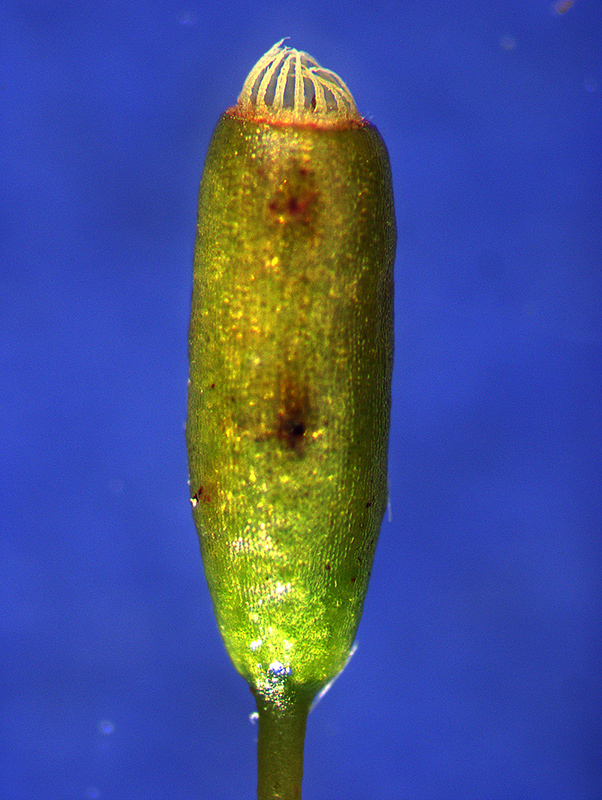 The upper leaves are 2-3 mm long, oblong, strongly concave; they narrow gradually or abruptly to a flexuose tip (hairpoint). 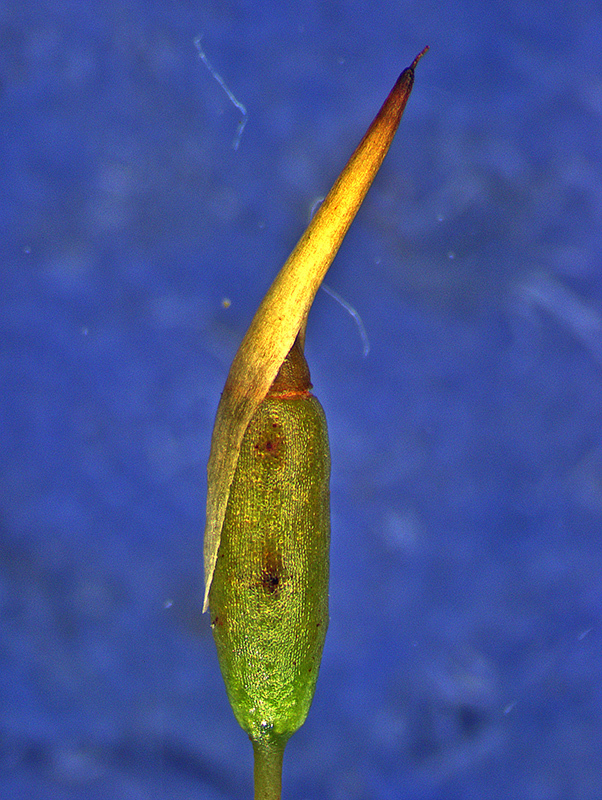 Elongate, slender branches (flagellate branches) with reduced leaves are often formed, which often break off and regenerate new plants. 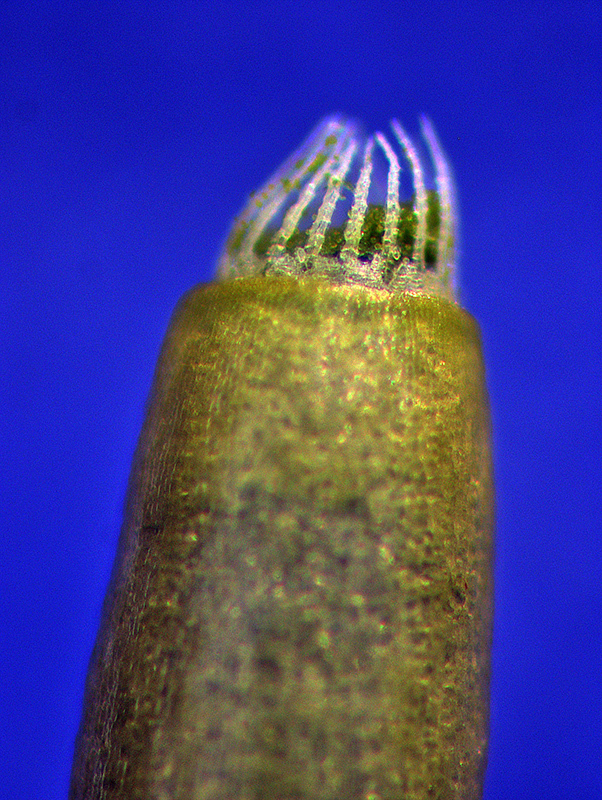 The cylindrical capsule has an outer peristome reduced to a low membrane while the innter peristome consists of delicate pale teeth. 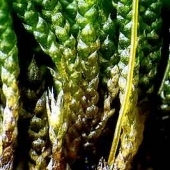 Widespread at higher elevations on moist rock or soil.